The links below will tell you all you need to know about using this website. There are legal sections, contact details and information about things that can change. Some areas need a little more explanation than others, but we've tried to keep it as short and simple as possible. Please read these terms carefully – they concern the use of this website. Your use of this website is subject to these terms and by using the website you show your agreement to such terms. If you do not accept our terms, please do not use the website. By proceeding with access to our website, you are deemed to have accepted these terms. This website, and the information contained on it, is not directed at, or intended for distribution to or use by, any person or entity who is a citizen, resident of, or located in, any jurisdiction where such distribution, publication, availability or use would be contrary to applicable law or regulation or which would subject Car4u to any registration or licensing requirement within such jurisdiction. We do not accept any liability for any errors or omissions. If you are in any doubt as to the validity of information contained within these pages. Then please do contact us in order to seek verification. 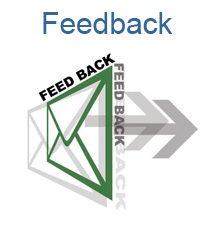 All information or advice provided as part of this website is intended to be general in nature and you should not rely on it in connection with the making of any decision. The information, including prices, and details, of products and services, and any offers, included in this website, have been compiled from a variety of sources and are subject to change at any time without notice. In the event that such change takes place we shall not be liable to you in any way whatsoever. Car4u tries to ensure that all the information provided as part of this website is correct at the time of inclusion on the website but does not represent that the information contained in this website is accurate, comprehensive, verified or complete, makes no representation or warranty as to the currency, adequacy or suitability, and shall accept no liability for the accuracy or completeness of the information contained in this website or for any reliance placed by any person on the information. These terms and conditions shall be governed by and in accordance with law and subject to the exclusive jurisdiction of the Courts. We are not responsible for the content of external websites. We do not produce or maintain these websites, and therefore will accept no responsibility or liability in respect of the material on any such websites. By allowing links with third party websites Car4u does not intend to solicit business or offer any security to any person in any country, directly or indirectly. Unless otherwise specified, the products and services described in this website are available only to Pakistan residents. The information on this website is not directed at anyone other than Pakistan residents and applications from others will, unless otherwise stated, not be accepted. 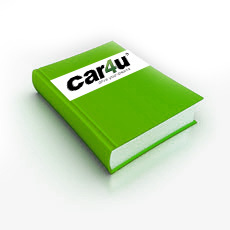 Car4u makes no representation that any product or service referred to on the website are appropriate for use, or available in other locations. The information and other materials contained in this website may not satisfy the laws of any other country and those who choose to access this site from other locations are responsible for compliance with local laws if and to the extent local laws are applicable. The phone numbers provided only apply to phone calls made from within Pakistan. These terms and conditions and any terms and conditions relating to products or services described in this website shall be governed by and construed in accordance with the laws of Pakistan. Disputes arising in relation to the same shall, unless otherwise expressly agreed, be subject to the exclusive jurisdiction of the courts of Pakistan.